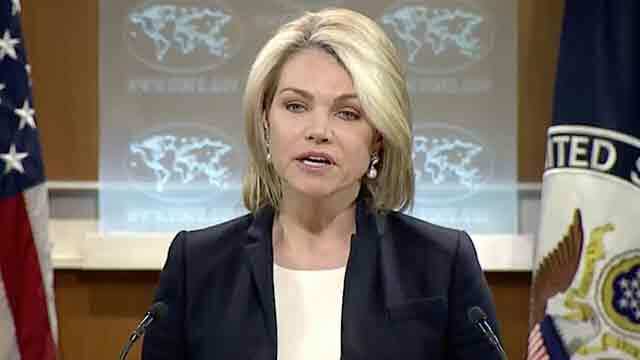 Washington, Dec 6 (Just News): Spokesperson of the US department of state Heather Nauert on Tuesday said that respect for human rights of all peoples is a fundamental element of democracy, according to a press release. Earlier Tuesday in Geneva, the United Nations Human Rights Council held a special session on Burma. The United States was an early supporter of this special session and a co-sponsor of the resulting resolution on the Situation of Human Rights for Rohingya Muslims and other Minorities in Myanmar. At the special session, Ambassador Kelley Eckels Currie, the U.S.
Representative to the UN Economic and Social Council, and Deputy Assistant Secretary Scott Busby of the Bureau of Democracy, Human Rights, and Labor reiterated Secretary Tillerson’s call for all actors to play a constructive role in resolving the human rights situation in Burma and holding perpetrators of human rights violations accountable. The United States urges an immediate end to violence, restoration of the rule of law, countrywide access for the UN Fact-Finding Mission, immediate humanitarian and media access to affected areas, and guaranteed and verifiably safe, voluntary, and dignified return for those who want to return to their homes. Respect for human rights of all peoples is a fundamental element of democracy and the United States stands ready to support the elected civilian government in its efforts to achieve peace, stability, and prosperity for all of Burma.